Please be careful when flying with your pet. 1) They are small and can stay in the cabin with you. 2) You drive and deal with the barking or meowing. 3) You leave them at home with a trusted petsitter. The dangers of keeping live animals in the cargo of a plane are real and far too many to name! Not many people realize that the animals are placed in the cargo hold… with the luggage. There is no air conditioning or heat down there. If you are flying in the winter or the summer, the cargo hold can be more like a deep freeze or an oven. Especially when your plane is just waiting on the run way! In the most recent article I read, the family pug “J” froze to death on a flight from Moscow to New York (an 11 hour flight… in the winter). The husband is claiming that the airline “killed our dog”, when in all reality, the family did. When it comes to small animals (pugs included), the pet is welcome in a carrier as long as it fits under the seat. There was no need for this puppy to be stuck in cargo, especially since this breed is known for its breathing problems (due to the smushed face and short snout). Not only is it unsafe to fly with your pet, it is also unsafe to have people ship your pet to you. Again, PETS ARE NOT CARGO! Firstly, you are more than likely buying this puppy from a mill if they are willing to ship the pet to you without having ever met you. Secondly, these dogs are always shipped in the cargo and often crammed into the pet carriers (and man-handled by the shipping guys). I do want to say this, some rescues and breeders have been known to FLY OUT with the animal, but the animal is usually in the cabin with them… That being said, I want to bring your attention to a news story that accurately depicts when a breeder just cares about the money and sends puppies across the country in the plane’s cargo. Back in August, seven puppies were cooked to death in the cargo of a plane after it sat on the runway for over an hour in temperatures that were well over 100°. It appears as though the breeder shipped 14 puppies out from Oklahoma to Chicago, and only 7 of the puppies made it out alive. The incident could have easily been avoided since American Airline’s policy for the safe travel of pets says that ” ‘pets cannot be accepted when the current or forecasted temperature is above 85 degrees Fahrenheit … at any location on the itinerary.’ ” Seven lives were lost because the airline didn’t properly follow procedure, but they aren’t the only ones at fault! No creature (human or animal, alike) should be subjected to the fear and trauma of being wedged among luggage in a dark and very loud place that is completely new to them! Not only are they terrified, but they have no idea where their humans are! They are alone, scared and separated from the only people the trust! In order to help prevent fires, most cargo compartments are unventilated, and if the systems were to fail (why even take that chance?) the temperatures inside can quickly reach the most extreme ends of the temperature spectrum! Again… Our pets are not luggage, they are not cargo. DO NOT treat them as such. Another story that was in the news lately was Jack the Cat who was lost inside of a NY City airport when the baggage handlers accidentally let him out of his cage (shocking, i know…). I wish people would understand, if you are trusting your pet to the safety of the cargo plane, it will be treated like CARGO! It is luggage in the eyes of the workers, just another bag that needs crammed in. His family was SO devastated and so worried. For two months people were on the lookout for this kitty and when they finally found him, he had to be put down a few days later because his injuries were so extensive. I remember when I was younger and my aunt used to load up the van and bring her entire family across the country (Nevada to Iowa) just to visit… When I say entire family, I mean it! She had two cats that were older than her sons and they were always in the car with them (litter box included)! They would even stop to take little breaks, just so the kitties could stretch their legs. That is a loving, responsible pet parent. Jack the cat should not have EVER been lost in that airport! He was small enough that he could have easily fit under his family’s seat! 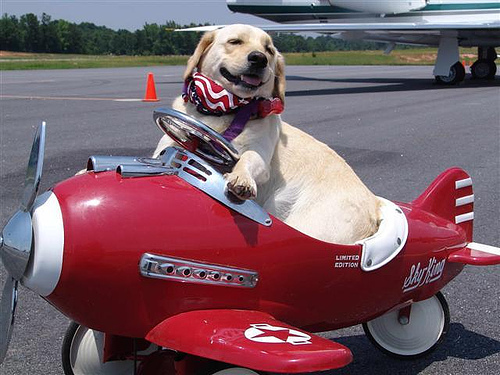 Going on a trip and need to fly there with your pet? Please check out this site. It is an airway where the pet actually flies in the cabin with you! I have never tried it, so please leave comments if you have!! I would love to see this business really take off, so our pets can safely travel with us where ever we go! If you CAN drive, please do. It is so much safer, although maybe a little more annoying for you. Please, keep your pets best interest and safety in mind when traveling. I am very unexcited to hear all of the new stories that will come out this upcoming holiday season- I know there will be at least a few. But you can help! PLEASE, educate your friends, family and coworkers on these dangers. This is such an easy way to save a life and save the family from the guilt and sorrow from losing a family member!